Venture to the southern tip of Africa for a family vacation that will provide memories to last a lifetime. South Africa is a very inviting family destination. The country offers a great diversity of attractions and activities that will appeal to kids of all ages. From the wide-eyed toddler to the adventure-seeking teen, we have something that will entertain the curiosities of all young travelers. We understand that families have very distinct needs that often span a few generations. Therefore, while we have two dedicated family tour itineraries, we are happy to custom build an itinerary that complements the needs of your particular group. Explore one of South Africa's most diverse provinces on a compact family adventure that also includes a safari in the Kruger National Park. A family vacation discovering the highlights of South Africa's Western Cape will prove exhilarating and memorable for young and old alike. This affordable four star family holiday offers a comprehensive introduction to South Africa, from Pilanesberg Game Reserve to Cape Town. A combination of breathtaking thrills and exclusive five star accommodations that will undoubtedly prove the luxury family vacation of a lifetime. With its abundance of malaria-free safari areas, South Africa is the ideal destination for a family safari. Private game reserves like Madikwe, Shamwari, Marataba and Welgevonden offer luxurious lodgings, while Pilanesberg and Addo offer more affordable yet nevertheless fruitful and rewarding safari experiences with prime Big Five game viewing. Many of the safari lodges in the above-mentioned reserves are aimed specifically at families and offer special programs for children. 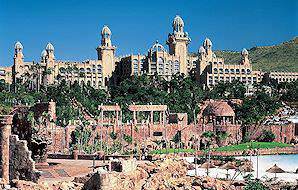 Elsewhere in the country, many hotels and guest houses in the Garden Route and Cape Town offer family-oriented accommodations, while Sun City is a veritable paradise for children to have fun and parents to unwind. There are so many adventures to enjoy with your family in South Africa. Observe the wonder on your child's face as they meet an elephant up close, learn about marine life while exploring the underwater magic of the Two Oceans Aquarium, wander into the subterranean depths of the Cango Caves, spot dolphins at sea or learn how to track animals by following their spoor. Visit aquariums, meet penguins and enjoy the amazing views from Table Mountain. A destination defined by fine beaches and memorable wildlife interactions. A family-friendly malaria-free wilderness not far from the Garden Route. A luxury safari experience suitable for the whole family. 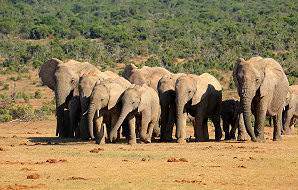 After the Kruger National Park, Addo Elephant National Park is South Africa's prime Big Five game reserve. Located in the Eastern Cape province - a malaria-free wilderness region - the park is ideal for more budget-friendly overland family safaris. Addo is a great choice if you are already enjoying a tour of the Garden Route and do not want to venture too far for your safari experience. The Drakensberg mountain range forms the eastern portion of Southern Africa's Great Escarpment, and is truly breathtaking to behold. A wealth of activities exist to entertain families who relish the outdoors. From leisurely hiking trails to ancient San rock art sites to horse riding across this undulating landscape, enjoy a family break from the everyday intrusions of technology. 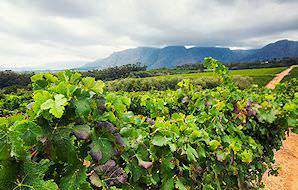 The Cape winelands is also a great destination for families who enjoy outdoor adventures. While wine tasting may be limited to the adults in your party, many esteemed wine farms offer grape juice, chocolate or cheese tastings for the little ones - a fine way to foster young connoisseurs! Strawberry picking is also popular in the summertime, and scenic hiking trails abound. South Africa's 'Kingdom of Pleasure' is a paradise for children - particularly those with wild imaginations! Based around a fictitious legend of an ancient 'lost city', Sun City's unique architecture, waterparks, game arcades, petting zoos and exhilarating outdoor activities will satisfy every child's entertainment demands, and ensure that parents have ample leisure time for themselves. 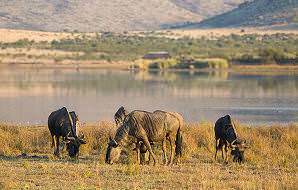 The Pilanesberg Game Reserve in South Africa's North West province comprises a malaria-free wilderness ideal for family safaris. In addition, it is but a stone's throw from the Sun City Resort, which makes it a fine complement to a tour that combines both family fun with Big Five game viewing. 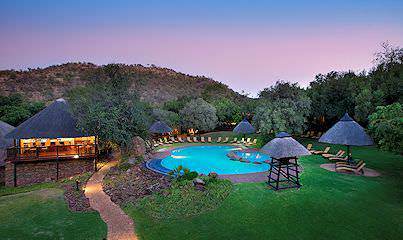 Pilanesberg offers both budget-friendly and more luxurious family-appropriate accommodations. Enjoying a safari with your children is not only memorable - it is important. Having the next generation learn to respect and appreciate the value of our wildlife will ensure that it endures for the generations to come. Beyond that, the awe on their faces during these encounters will capture your heart. Beach time is really one of those occasions that appeals to the entire family. Braving the waves, stretching out on the shore, building sandcastles, tossing or kicking around a ball; the activities may seem basic, but often it is the simplest, most organic moments that provide the most lasting memories. Most adventures in South Africa will not only provide unforgettable fun, but learning opportunities for your children as well, for eg., wildlife and the environment while on safari, the sea and its mesmerizing creatures at the aquarium, and the geological structures of the earth in the Cango Caves. Are reduced rates available for children? Each property and/or attraction determines their own discount for children. Rates are therefore subject to fluctuate based on both the age of the child and the properties included in your itinerary. Why should families avoid travel to safari areas where malaria is prevalent? The recommended precaution is aimed largely at families traveling with small children, toddlers or babies who are still too young to be administered anti-malarial prophylactics. These safari areas still offer incredible safari experiences and plush lodgings. 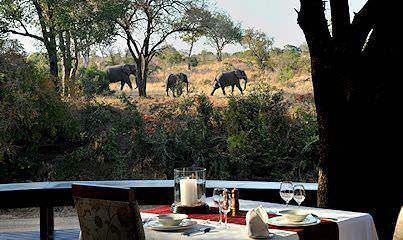 Most family-friendly lodges will not allow children under the age of 6 on open-air vehicle game drives. This is primarily for the safety of the child and those in the vehicle, as animals may be either disturbed or dangerously intrigued by certain noises or sudden movements. At some lodges, families with children under a certain age will be required to pay additional rates for a private safari vehicle. Yes - South Africa currently has 45 beaches with official Blue Flag status, which makes them safe for swimming and family enjoyment. Yes, many lodges and certain resort-style accommodations will have programs available to keep children entertained while their parents enjoy some leisure time. Most family-friendly accommodations offer child-minding services at an additional rate. Be sure to check beforehand. 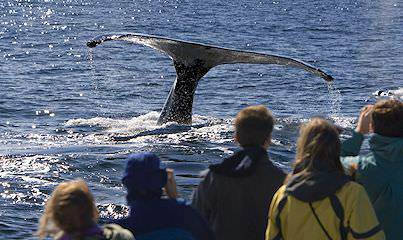 Would children be able to enjoy wildlife encounters? All wildlife encounters are age dependent for the safety of the child. Be sure to ask beforehand. Would our child be able to share a room with us? Should family rooms not be available or pressure the budget, many accommodations will accommodate one child in the same room as their parents on a cot or sofa-bed. 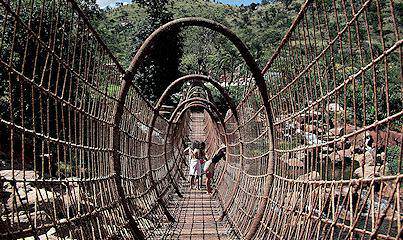 Are other Southern African countries child-friendly? South Africa is the most child-friendly travel destination in Southern Africa, particularly for families with very young children. While many lodges and hotels in other countries are happy to accommodate children, keep in mind that travel may often take the form of charter flights, boat transfers and/or long overland trips which may be tiresome for young children. Malaria is also a risk in Botswana, Zambia, Zimbabwe and Mozambique. Is there a preferred time to travel with children? If you have older children and would like to visit areas where malaria is a risk, it is best to visit in the winter months between May and August, when it is drier and mosquitoes are less prevalent. If you plan to visit the Cape and the Garden Route, aim for summer or spring - while adults may not mind a bit of rain, children may be greatly disappointed if their activities and/or beach time are affected by the weather. 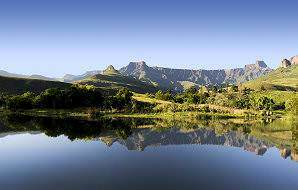 South Africa offers the cream of the crop of African travel destinations. Botswana's wilderness areas host some of the most remote lodges imaginable. Travel to Namibia for exhilarating desert adventures and premium game viewing. Zambia is one of Southern Africa's lesser known yet truly prolific safari destinations. Zimbabwe is a popular African travel destination due to its perspective of Vic Falls. Mozambique boasts ample stretches of untouched beaches. Nowhere else in the world can you enjoy a round of golf in view of a herd of drinking elephants, or surrounded by the mountainous verdure of the Garden Route. We offer a wide variety of African beach vacations, from the tropical shores of Mozambique to the Mediterranean-style coast of the Cape. Unbridled indulgence is on the menu, should you opt for one of our unforgettable luxury safaris. Enjoy a pampering experience fit for royalty. The luxury train journeys we offer travel across incredible landscapes like the vast, arid expanse of the Karoo and the bushveld that surrounds the Victoria Falls.